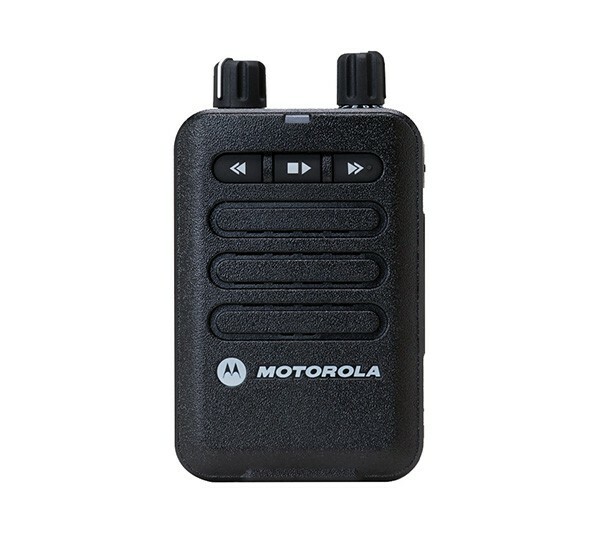 The Minitor 6 pager from Motorola have become a reliable tool for communication among volunteer firefighters across the country. With new features such as 16 minutes of voice recording, customizable call alerts, rugged design and intrinsically safe options, the Minitor 6 is the best of the best for pagers from Motorola – and designed with firefighters in mind. But, like most technologies, some things can have issues. Some of the preliminary owners of the Minitor 6 pager, first released in 2014, have experienced charging issues with their device. Recently, Motorola did some investigation on these issues based on what these users were saying. The conclusion is the problems are often caused by contact wear and tear, along with debris (dirt and fibres) on the connectors – leading to Minitor 6 charging issues. As a means of preventative maintenance, Motorola suggests that users of the Minitor 6 should ensure the device interface, and connector contacts are debris free. This should be done monthly to ensure proper usage and function of the technology. If Pager does charge in one charger and not the other this eliminates the pager as the cause. Read below for more information. If one of the Minitor 6 pagers charge in the charger this eliminates the charger as the cause. A lot of these Minitor 6 charging issues above are with the Minitor 6 when it was first released – newer models are less of an issue. It’s important to keep in mind that Minitor 6 pagers have a two year standard warranty on their products, and the chargers a one year warranty, so if your technology is older, than this does not apply. Outside of that, Nova Communications will take care of these issues for you if you’ve tried the above with no results. We will work with our partner Motorola to figure out the best resolve for your technology. 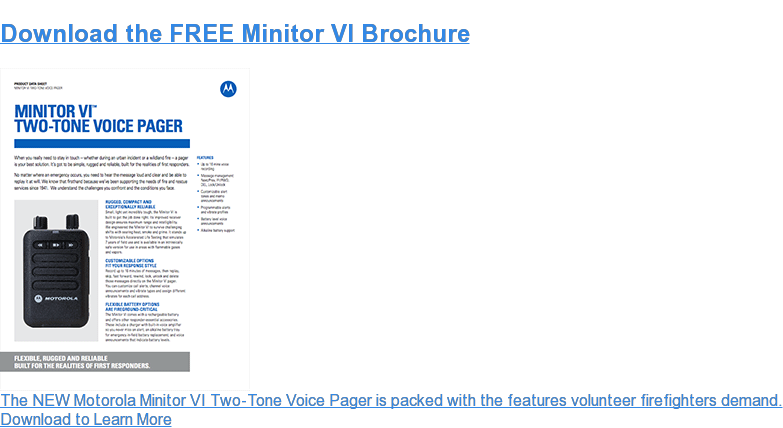 If you’re a user of Minitor 6 pagers, like a number of volunteer firefighters are, you may need further technology or accessories for your department. Follow this link for more information. As a company with more than 30 years of experience in the business, we understand these issues can be frustrating, and hard to figure out. It’s our job to help you figure out your best solution. Contact one of our two way radio experts if you have any questions, and we’d be happy to help. Does anyone make a Motorola Minitor VI bank Charger? I currently have multiple single chargers and I have nothing but problems with them I am in search for a bank charger that would hold 5 or 6 pagers. Thank you for the question. Unfortunately, there currently isn’t a multi-unit charger for pagers. Wish we could be more help.